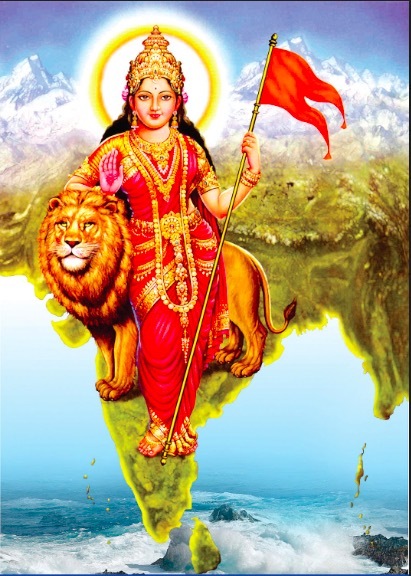 Bharat Mata (Hindi, from Sanskrit भारत माता), Mother India, or Bharatamba (from अंबा amba 'mother') is the national personification of India as a mother goddess. Bharat Mata (Hindi, from Sanskrit भारत माता), Mother India, or Bharatamba (from अंबा amba 'mother') is the national personification of India as a mother goddess. She is usually depicted as a woman clad in an orange or saffron sariholding a flag, and sometimes accompanied by a lion.